This song is so classic. I feel like it could fit into almost any era in the past 60 years, and it would give whoever is listening to it chills. To me it seems like it’s a classic sense of disenfranchisement. There are a million voices to listen to, in the media, from those in power, and it can get pretty dark if you are paying attention. But also, we have the option to focus on nature, personal growth, creativity. We could all be like the girl “who don’t care about none of these things.” It’s a really inspiring message overlaying a classic blues guitar riff. I really can’t get enough of it. One last note of praise: I LOVE the weird sample that comes in at the end of the song. I can’t make out all of it, but it fits perfectly with the vibe that’s being created. 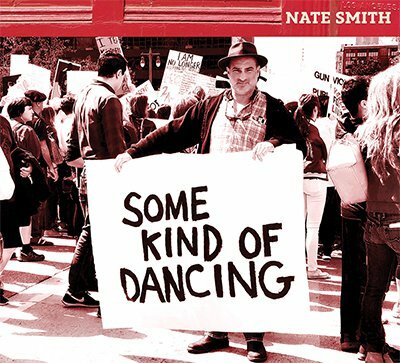 Bio: With nearly twenty years of song writing experience under his belt, Nate Smith has evolved into a beacon of honesty and real life experiences especially when it comes to the process of composing lyrics. Harboring a belief that all artists are most often struggling poets, Nate strives to create songs that take people on an emotional and reflective journey that can only be described as both gripping and beautiful. Check out more here: The Nate Smith Band.